haverhillchamber.com | Take Me Out to the Ballgame! Nearly 70 members of the Boys & Girls Club of Greater Haverhill and the Boys & Girls Club of Lawrence combined were treated to a Red Sox game on July 21, thanks to the Jaffarian Youth in Motion Fund, which promotes and funds activities and experiences for local youth that build life skills including teamwork, sportsmanship and discipline. 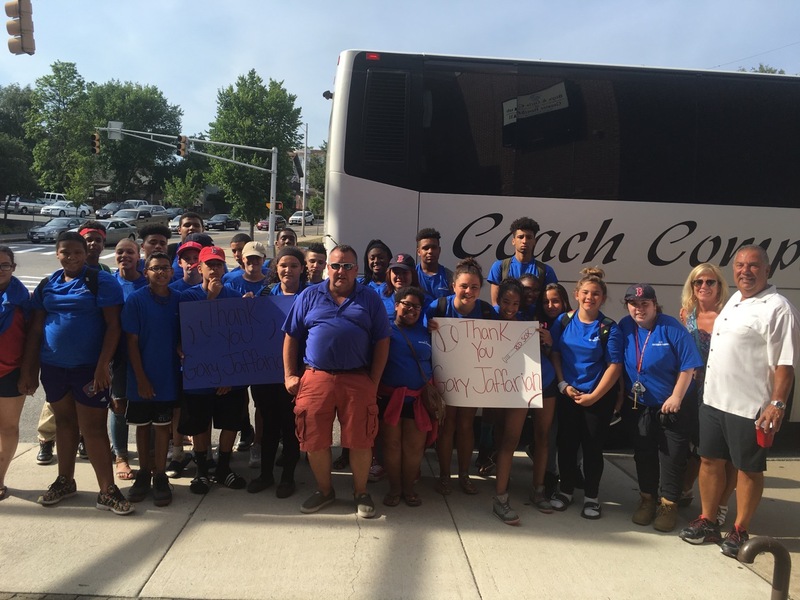 Coach buses took youth to Fenway Park for an exciting game in which the Sox defeated the Minnesota Twins 13-2. JnR Gutters, Inc. of Haverhill and For Marketing Matters of North Andover gave all of the members spending money to enjoy a Fenway frank and a drink. This past year Jaffarian Volvo Toyota launched the Jaffarian Youth in Motion Fund, a charitable program that enables local youth in need to participate in sports and activities that provide structure, discipline, teach sportsmanship and, ultimately, promote a healthy, active lifestyle. The Jaffarian Youth in Motion Fund formed as a result of past charitable efforts, visits to each Club and multiple meetings with the directors. A clear fundamental need emerged to help local youth get involved in sports and activities that they otherwise might not have the opportunity to participate in or try. Jaffarian selected the Boys & Girls Clubs as they are perfectly positioned to readily identify needs and allocate funds directly to enable individuals to engage in these programs. The funds will be used to support positive “in motion” behavior, such as helping kids participate in team sports like football and baseball, partake in activities such as dance, swimming and martial arts classes, as well as learning to fish via summer camp programs. 33 members of the Boys & Girls Club of Greater Haverhill enjoyed a Boston Red Sox Game on July 21 thanks to the Jaffarian Youth in Motion. 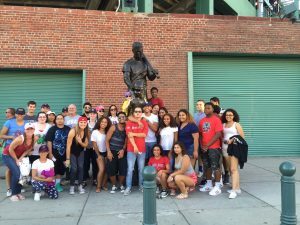 Youth traveled to Boston in Coach buses to watch the Red Sox defeat the Minnesota Twins 13-2. JnR Gutters, Inc of Haverhill sponsored a portion of the event and gave spending money to all members so they could enjoy a Fenway frank and drink. “Supporting youth sports/activities has been central to the Jaffarian culture from day one. My grandparents started this tradition and, as a third generation owner, I strive to keep that important legacy alive and well,” said Gary Jaffarian, President and CEO, Jaffarian Volvo Toyota. “I hear all too often about deserving kids who can’t participate in sports and activities because of financial issues and that’s what inspired me to create this fund. My entire family has always believed that sports are healthy for both body and mind and can provide a tremendous sense of pride and accomplishment. The Jaffarian Youth in Motion Fund continues the dealership’s legacy of helping youth in Merrimack Valley participate in a variety of sports and exercise programs. Jaffarian has long had a passion for and commitment to giving back to the community in the area of youth sports. Over the years, the dealership has sponsored numerous sports teams, helped Haverhill High build a weight room, raised $50,000+ to offset the costs of participating in high school sports, and brought busloads of kids to Celtics and Red Sox games. 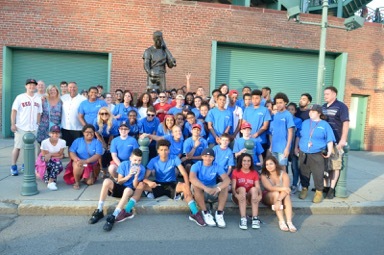 36 members of the Boys & Girls Club of Lawrence enjoyed a Boston Red Sox Game on July 21 thanks to the Jaffarian Youth in Motion. Youth traveled to Boston in Coach buses to watch the Red Sox defeat the Minnesota Twins 13-2. For Marketing Matters of North Andover sponsored a portion of the event and gave spending money to all members so they could enjoy a Fenway frank and drink.